We took our amazing Nourishing Balm, added even more soothing & pain reducing essential oils, and came up with Deep Rub Pain Cream. This stuff doesn’t mess around! 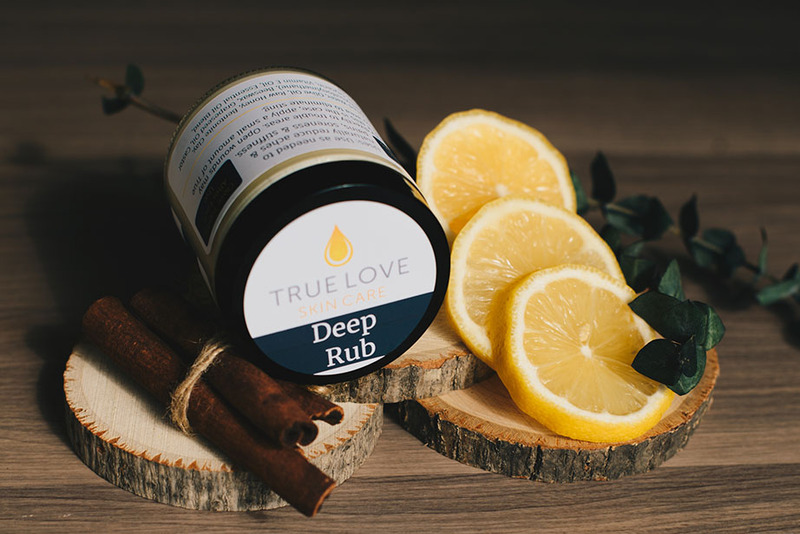 Fiery chili oil and cooling peppermint oil combine to create a deep penetrating rub that soothes sore muscles and aching joints, all through direct, balanced, & natural nutrition. Use as needed to reduce pain, soreness, stiffness, and inflammation. Apply directly to the trouble area and gently massage in. ATTENTION: Contains increased amounts of essential oils which may cause some stinging. Especially on open wounds, or other broken skin. In this case, use with Soothe to eliminate the sting.